Dr. Anil Tibrewal | Texas Minimally Invasive Surgery Center, P.A. "I cannot thank you enough but want you to know you have given my life back to me. 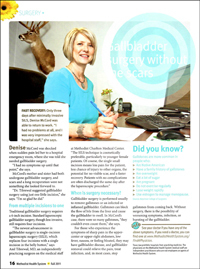 You are a wonderful surgeon and person." Dr. Anil Tibrewal attended medical school at Christian Medical College, Vellore and obtained MS in General Surgery from University of Delhi in India. He has trained and worked in the United Kingdom and is a Fellow of the Royal College of Surgeons of England, Edinburgh and, Glasgow. In the United States, Dr. Tibrewal completed his surgical residency from Huron Hospital, part of the Cleveland Clinic Health System, Cleveland, Ohio. Dr. Tibrewal is certified by the American Board of Surgery and is a Fellow of the American College of Surgeons. He is currently in private practice and holds staff privileges at Methodist Health System, Dallas, TX.